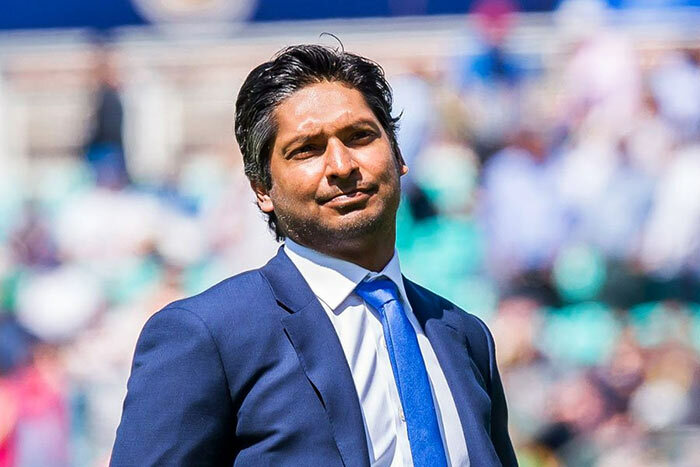 Former Test captain Kumar Sangakkara has urged the Sri Lankan team to rethink its strategies, moving forward after the team’s failed campaign in the six-nation Asia Cup tournament. The five-time winners crashed out in the first round after humiliating defeats at the hands of Bangladesh and Afghanistan. “We need to find out whether we have the right strategy in place. Whether we should change it or stick to it. Results on tours are important, but the larger picture should be the 2019 World Cup. We need to have a settled batting lineup. We need to identify the openers, identify who our number three is going to be and who is going to bat at number six and things like that. Some of the changes that Sri Lanka did during the Asia Cup like reversing the roles of Kusal Mendis and Kusal Perera backfired. While Mendis opened the innings, Perera batted at number four. Mendis was dismissed without scoring on both occasions. “The confidence levels drop if they are moved up and down. You need to identify the engine room of the batting lineup from number one to four and others should play around them. With two new balls, your openers are vital. Number three and four are very important as well and they have to shoulder most of the burden in batting. “Then, of course, numbers five and six, they need to be able to accelerate and, in case if there’s a top order collapse, they should be able to steady the innings. They need to clarify the roles and have an idea what is required of each player,” Sangakkara said. If the target is to get into 2nd round in World Cup (unlike Asia Cup 1st round knockout) then get rid of that Stupid Coach (hathuru). ‘Why they have inconsistent results is that they are yet to get settled. They need to build a team culture, a team strategy. They need to persevere with a set of players consistently for the biggest tournament in cricket.” said great Sangha. We all know that Sangha. We are doing this for the past 5 years or so. To Grace Marapitiya, Tell what can Hathuru do? Is Hathuru gonna go and run between wickets? Our crickets play cricket soon after they started walking. Play tremendous amount of School Cricket and Club cricket before joining the national team. If the cant run between wickets, get out for a ‘duck’, can’t catch a ball what can Hathuru do? HATHURU or No-Hathuru our present Cricketers have to play GUDU. the results have nothing to do with the cworking on the assumption that team is selected out of the best. In tean selection consistency in performance is paramount something missing over the last few years. Even then the team relied heavily on a few players abd when they failed thclass and caste. In this regard it is best to select teams that perform as teams. Perhaps this is one reason that the afgans or the bangaladeshi were able to beat sri lanka for they never had any elte players,. I really think blaming the coach , politics and such excuses wont help us. As one of you mentioned these players have played cricket for years before beeing selected for the national team. It is time the senior players take responsibility and be an example to the junior players. Apart from that the team has to have discipline, pride and determination. On another note There some senior players that shoul not be in the team. It is very sad to watch the team loose badly. So good luck, try harder. Winning and loosing is a habit so please try and get out of the loosing habit.